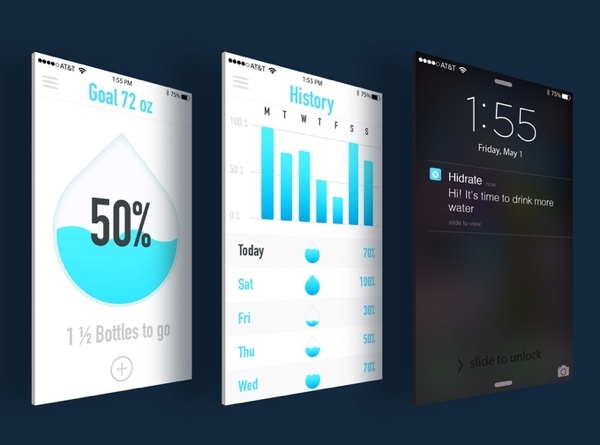 Fitness is currently at the forefront of the minds of even the most ardent geek thanks to the Apple Watch and its fancy colored rings of scorn, but for all its tracking prowess and multi-colored images, the Apple Watch doesn’t keep track of one of life’s most important factors – water. Everyone knows that we need water to survive, but did you also know that not drinking enough of it can make you irritable? Drinking plenty of water can help get weightless too, and it’s just an all-around good bet if you’re trying to maintain a healthy lifestyle. Water rules. 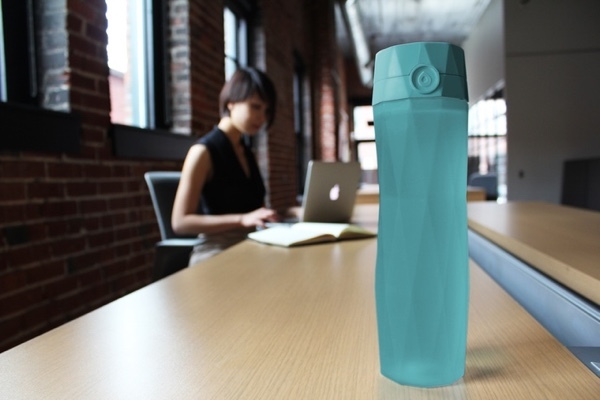 But most of us don’t drink enough of it, that’s why the HidrateMe water bottle is doing so well on Kickstarter, with backers keen to get their hands on the smart water bottle that claims to make it easier to remember to drink some lovely H2O. 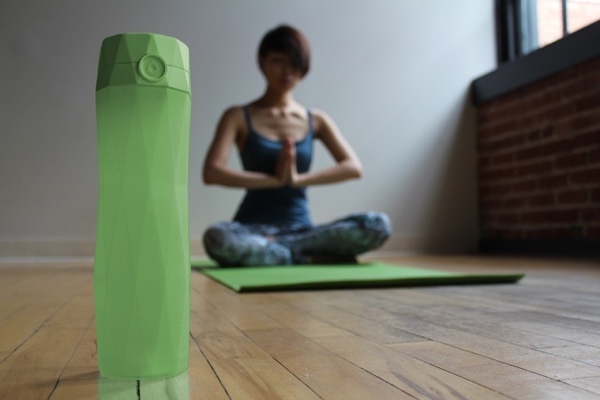 Currently with 38 days left of its project but massively over-funded the HidrateMe water bottle has already had backing to the tune of $140,000 on Kickstarter. Considering the relatively modest $35,000 goal, that’s a lot of water bottles – at the time of writing. 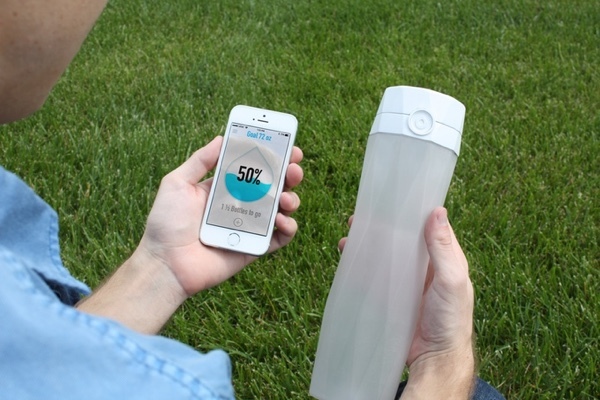 But these aren’t any ordinary water bottles, because the HidrateMe bottle talks to your smartphone – iPhone and Android – using Bluetooth. The idea is a simple one that should work well. As the water bottle knows how much you’ve been drinking it can alert you when it’s time to drink a little more, which is great if you simply don’t drink enough. 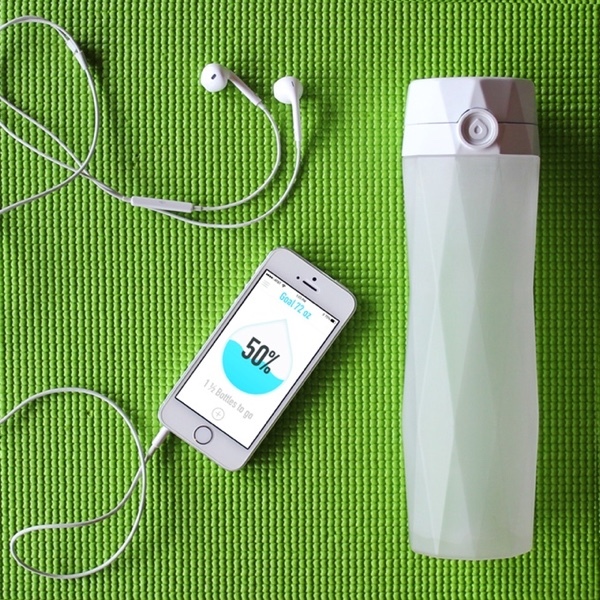 You’ll get a notification on your phone when it’s time to drink up, and the water bottle itself will start to glow as well. You’re more likely to drink the required amount of water if your bottle nags you, and that’s the whole point. 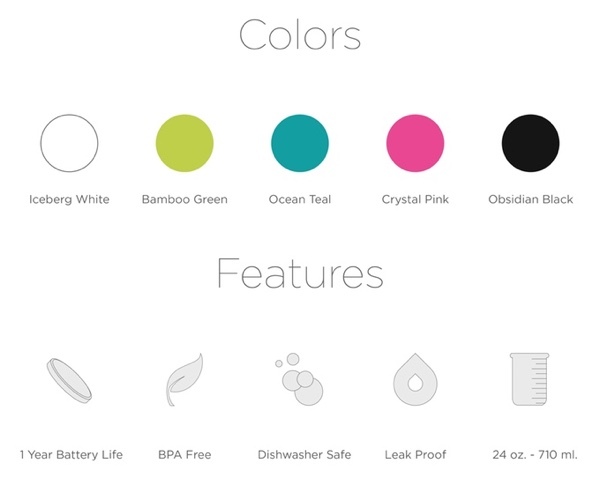 A 24-ounce, BPA-free HidrateMe bottle will set backers back $39 on Kickstarter and it’s available to order in five different colors – iceberg white, bamboo green, ocean teal, crystal pink, or obsidian black. 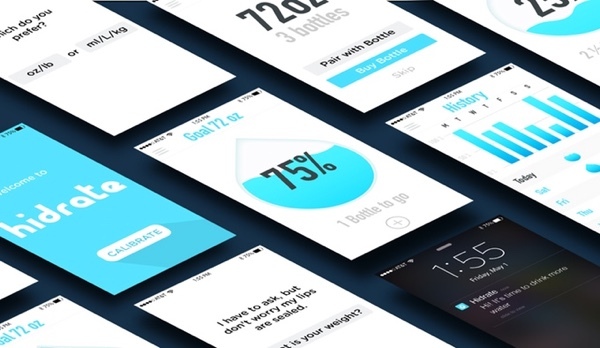 Both HidrateMe bottles and the required app should be available some time in Winter 2015, according to the project. If you’re looking to back the project up or want to grab yourself an early product, then simply head over to the source link below.